What would be required to send water into space? My Wife suggested that we can lower sea levels by sending water into space via a long tube, or using rockets. Once you have finished laughing at this idea, can you explain what would be required to achieve this? The centrifugal force of the earth would rip apart any tube that was directly connected from earth to space. Also, rockets would not be used because they are far too expensive. There is a lot of research into the idea of a "space elevator". The idea that if you attached a string from something in geosynchronous orbit and dropped it down to earth, the string would essentially float in air. However, Earth's geosynchronous orbit is at 42164 km (26199 mi). The weight of a 26,000 mile cable exceeds the tensile strength of all materials known to man, except perhaps the Carbon Nanotube, which, unfortunately, has only been produced a few mm long. And, short-fiber carbon nanotube yarn lacks the strength we need. Building a 26,000 mile tall building would also be a monstrous undertaking. However, at 26,000 miles, it would only get it into Earth's orbit, which is already getting "cluttered". One would really need to put it somewhere like on the moon 384,403 km (238,857 miles). The volume of water in the oceans is tremendous. There are about 139.5 million square miles of ocean. That is a LOT of shuttle missions. Here is a comparison of the payload of one of the biggest rockets (Delta IV) to the Dodge Pickup. Which takes 483,500 gallons of fuel to get it into space. and cost $100,000,000 to build. I suppose since we use "water for fuel"... a portion of that will not fall back to earth, at least not any time soon. In many senses, water is Earth's most valuable resource, and the value of our oceans should not be underestimated. Ocean levels rise and fall. The problem is that humans have invested large amounts of money to build cities near the shores, and around harbors. 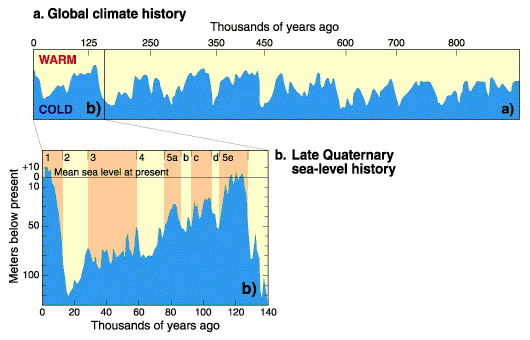 This shows the ocean levels for the last 22,000 years, which the oceans have been continung to rise... slowly. 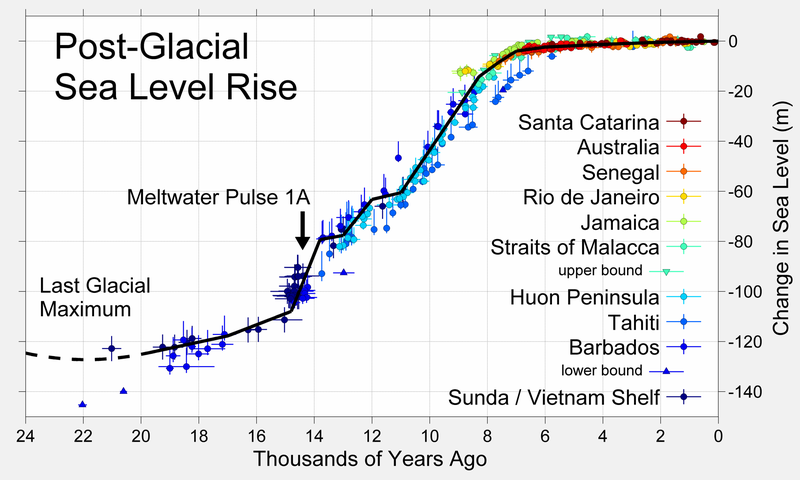 However, over the last million years, the majority of the time the sea level was much lower than the current levels. Although, in the more distant past, before the glaciation of Antarctica, the levels have been somewhat higher. I think in the end we will have to adapt to global warming rather than trying to stop it. Mitigation requires more global organisation and co-operation than we're capable of.